Uniting homeschooling families throughout New York! Regional AND Local support throughout NY. Planned future additions of New Jersey & Pennsylvannia support networking! The central purpose for APPLE is for the children, and to function as a family* group where families of like interests, can come together in a variety of ways.. The gatherings may be by way of one family -to-one family, or as a group. Gatherings may take place as field trips, outings, organized functions, lunches, dinners, meetings, even spontaneous get-togethers. 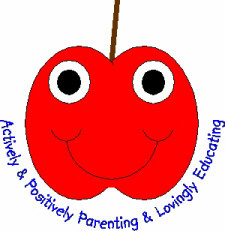 Homeschooling issues and exchanges of information, are also a function of APPLE. All A.P.P.L.E. functions keep parents and children/teens together. Keeping families together, in a family* setting is one of A.P.P.LE. 's missions. it’s purpose is for the children/family. Children are welcome at all APPLE functions! *For more information please visit our "Membership" area. This website (either whole or in part) may not be reproduced, or copied, in any form, without expressed written permission from the creators of this site.